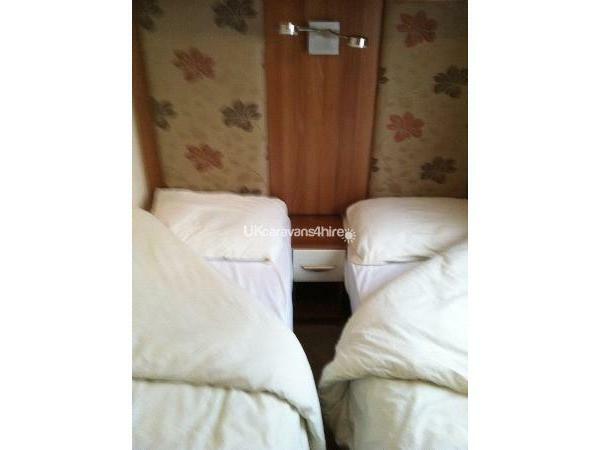 Additional Info: THIS CARAVAN IS NO LONGER AVAILABLE. 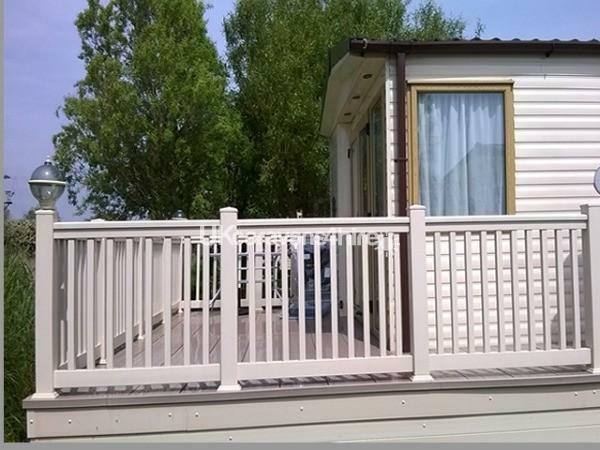 Beautiful holiday home situated at Normandy Court, this is close to the nature reserve and the balcony overlooks the river and views to the nature reserve. Patio to side of the holiday home and parking. Linen included. 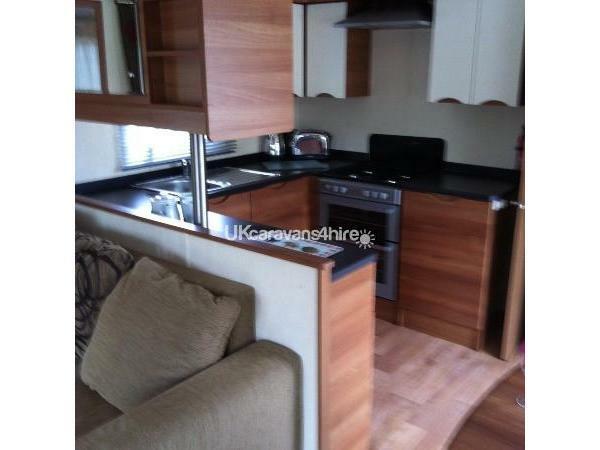 This caravan is being sold and no longer available for hire. 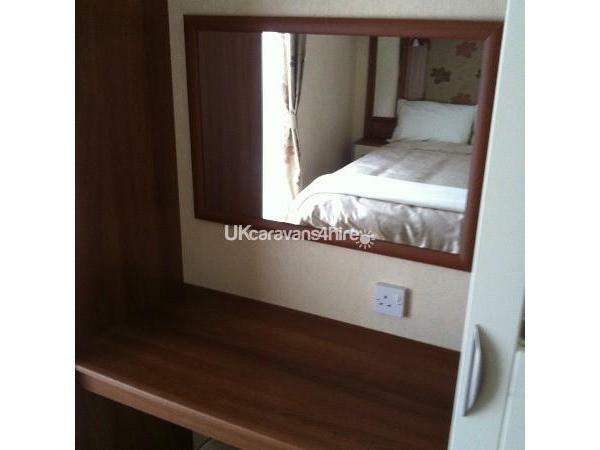 Please try www.caravanhirecombehaven.co.uk as an alternative. THIS CARAVAN IS NO LONGER AVAILABLE. 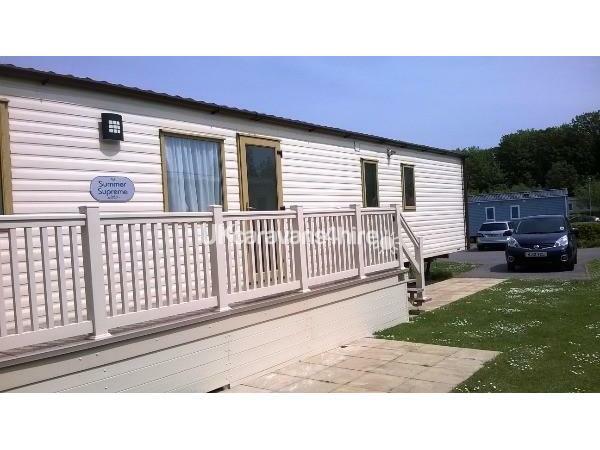 An ABI Summer Supreme 38 x 12 Prestige rated by Haven, this is a 3 bedroomed family holiday home, with side decking and extended balcony. 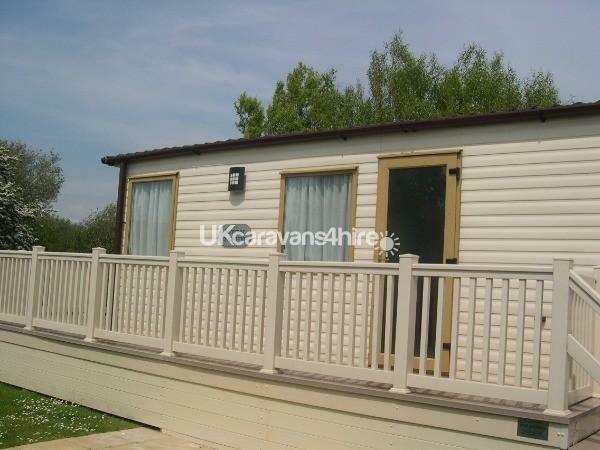 This is a very popular family caravan, offering extended veranda and balcony wrapping around one side of the caravan, secured with a side gate. 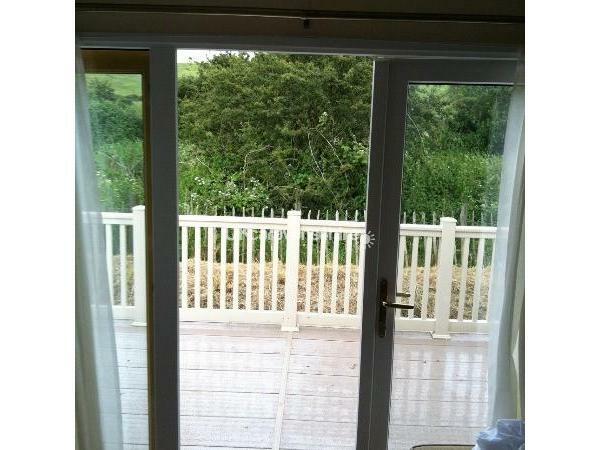 The balcony overlooks the nature reserve, quiet, peaceful and relaxing. 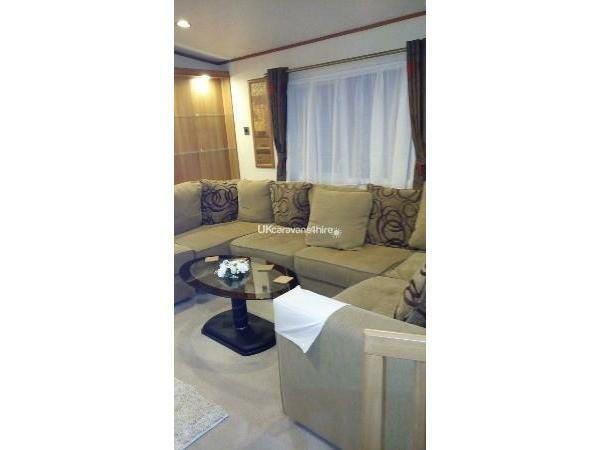 Double glazing, centrally heated with a very spacious lounge, gas fire and units offering extra storage and shelving, comfortable sofa and large soft furnishings to enhance this holiday experience. The dinning area is open plan and the well equipped kitchen with shaker style cupboards makes this an ideal place to enjoy your holiday time. 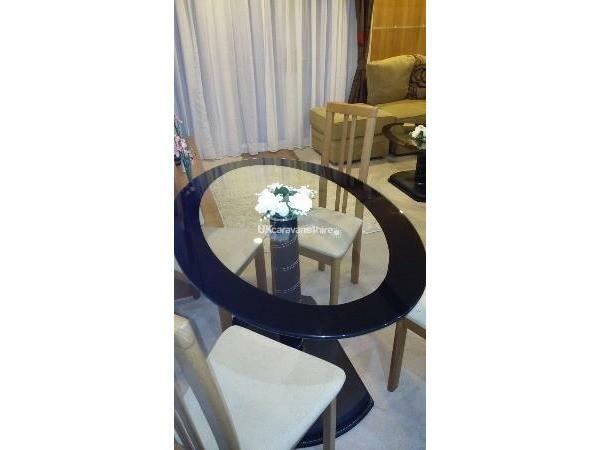 Two single twin bedded bedrooms, family bathroom and and master bedroom with en-suite. This is a real feeling of luxury. The balcony doors open onto views of the nature reserve and the river gently flows to the back of this holiday home, offering peace and tranquility for those wonderful summer evenings. 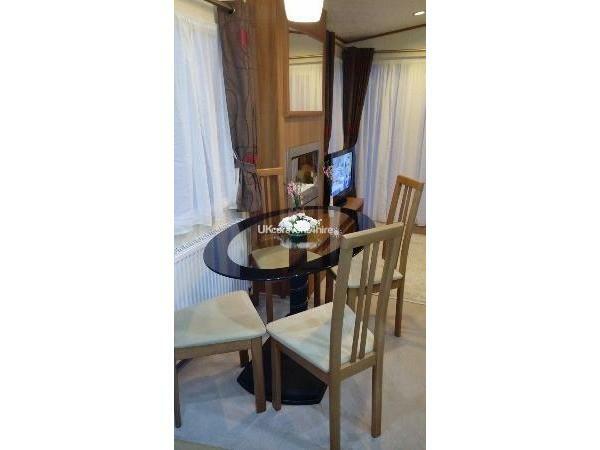 Consisting of 3 bedrooms, one king with generous storage around the bed and wardrobes to the side, the en-suite offers the privacy and space with low level toilet and hand basin. 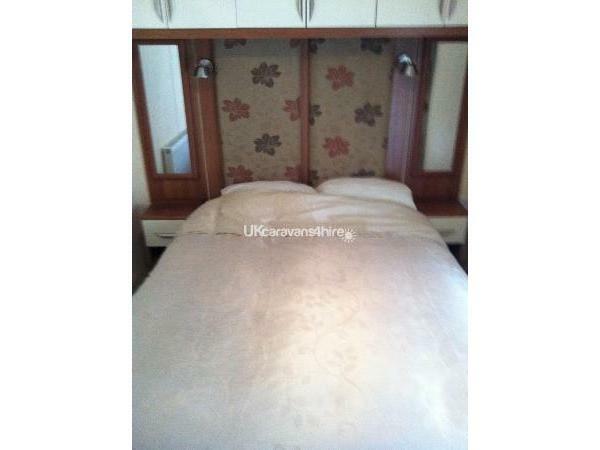 Two further bedrooms offer twin beds and further storage. 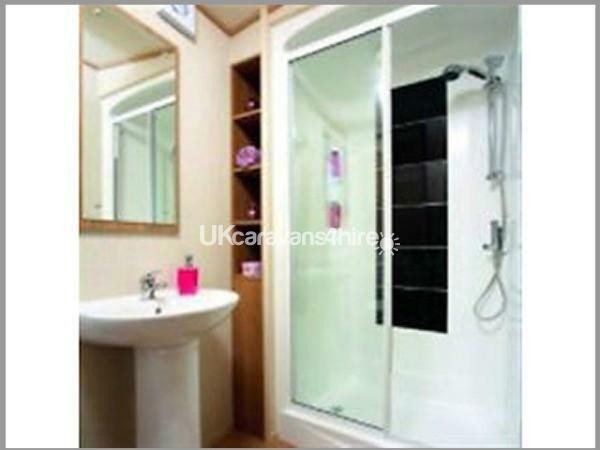 A well appointed bathroom with shower, toilet and basin is a good size with heated towel rails. This is a wonderful opportunity to explore Hastings, Battle and St Leonards. We supply the duvets and pillows and bed linen, we do not provide towels. Arrival is from 2.30pm and departure at 10.00am. FunWork passes are not included but can be purchased from reception at the time you check in, these will give you access to the pools, bars, and entertainment areas within the park. This is a great holiday place that offers fun for all ages. We look forward to hearing from you, we are sure that you will have an "Incredible Holiday" experience.